1] Press Win + R to open the Run window and type the command control panel. Hit Enter to open the Control Panel window. 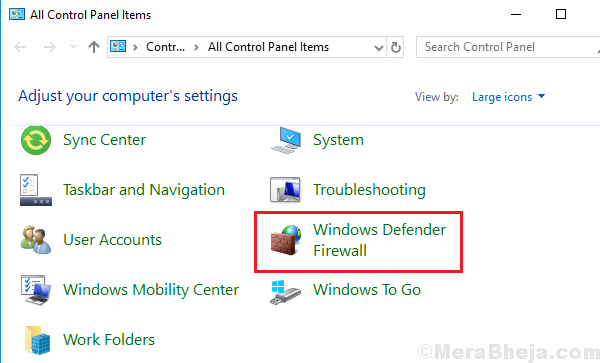 2] In the Control Panel window, go to Windows Defender Firewall. 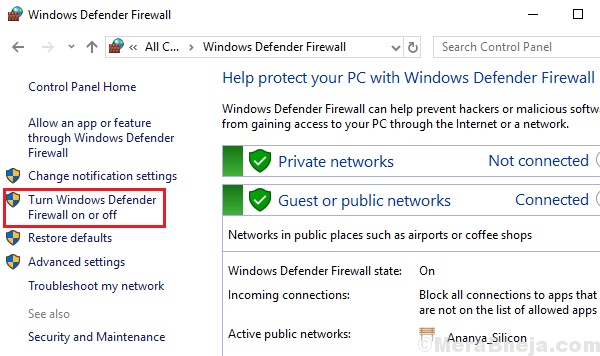 3] On the list on left-hand side, select the option Turn Windows Defender Firewall On or Off. 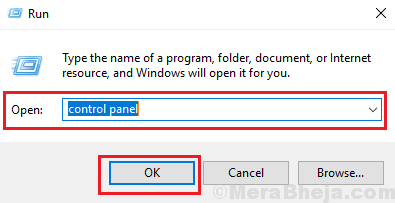 4] Shift the radio button to Turn Windows Defender Firewall OFF (not recommended) for both public and private network settings. 5] Click on Apply and the OK to save the settings.